Derrick Nsibambi of KCCA FC (Uganda) celebrates after scoring against Rivers United FC (Nigeria) during the 2017 Total Caf Confederations Cup on June 3, 2017 at Phillip Omondi Stadium, Lugogo, Kampala. File photo. FOOTBALL–Uganda went into the CECAFA and COSAFA U20 championships with high expectations after a moral boosting second place finish in the then just concluded Russia 2018 World cup qualifiers. Despite the fact that the Cranes had scored only three goals in the said qualifiers, two coming against last placed Congo Brazzaville and the other in a 1-0 home win against Egypt, everyone including the technical team believed the Cranes had made the grade and could compete against any team on the continent. “We are now on a level where we can compete with anyone on the African continent,” said a seemingly convinced Cranes interim head coach Moses Basena upon the conclusion of the World cup qualifiers. If you dig deep into that statement, one would easily predict a rollercoaster tournament for the Cranes at the just concluded CECAFA tournament in Kenya if not even in the COSAFA U20 but blindly ignoring the fact that the Uganda is always coming short in front of goal. The Cranes clearly struggled in all the games in Kenya apart from the 5-1 drubbing of minors South Sudan and the struggles are zeroed down to the team’s ineffectiveness in front of goal. Against opposition like Ethiopia, Zanzibar and Burundi, the Cranes should be winning comfortably that is if we are indeed in a position to compete with anyone on the African continent but at the CECAFA tournament, we only scored more than one goal once against the above listed opposition and the rear occasion came in the third place play off game against Burundi which required the teams coming from a goal down to win 2-1 yesterday. The post Micho Sredejovic era has seen KCCA FC striker Derrick Nsibambi lead the line ahead of experienced striker Geoffrey Sserunkuma and young stars like Nelson Ssenkatuka and Vipers’ Milton Karisa but its has on many occasions proved fruitless as Nsibambi has more often than not failed to life upto the expectations as evident on the fact that he failed to score even a single goal in the Russia 2018 World cup qualifiers. Yes he won the top scorers gong at this year’s CECAFA with four goals from Uganda’s six games but he still leaves a lot to be desired that is if we are indeed on the level to compete with the hot shots of African football. When you look at the league’s top scoring scores and their tallies in the tournament, you cannot help but seat back and hope they can somehow replicate their league form in upcoming tournaments as soon as possible. Hood Kawesa the league’s top scorer scored one goal at this year’s CECAFA tournament for the Cranes, joint second top scorers Milton Karisa and Nelson Ssenkatuka managed only two goals between them. If that does not send alarm bells, what will then? Mean while in Zambia where the nation’s U20 team has been competing in this year’s COSAFA U20 tournament as guests, teenage sensation Muhammad Shaban also led the scoring chats with four goals in five games which is impressive to a greater extent. The four goals that the KCCA FC hot head scored where more than half that the whole team managed in the tournament as only Allan Okello and Vipers’ Steven Mukwala were the others who saw the back of the net and on one occasion each. Against Lesotho in the semi finals, the Hippos who are supposed to feed the senior team with players could not find a way of putting the ball in the back of the net against a side that clearly was intent on frustrating Uganda over 90 minutes with consistent defending so as they try their luck in penalties and you can trust that their game plane worked as the eliminated Shaban and co 5-4 on penalties on playing the game of luck that is penalty shoot outs. The Hippos indeed have the players that are poised to make the big break into the senior team but a lot of them will have to be either defenders or midfielders with the exception of Shaban who has always been in the Cranes set up. 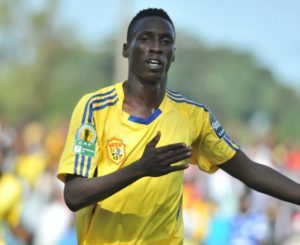 Looking at the current situation regarding strikers either on the senior team or in Matia Lule’s Hippos, the nation will have to go on its knees and prays that some other youth strikers can follow into Shaban’s footsteps as soon as possible other wise we will always come short when it comes to scoring the desired goals yet we are good in other departments.